Liftoff occurred in Baikonur on August 19, at 04:43 a.m. local time (Aug. 18: 18:43 EDT, 22:43 GMT). Nominal separation took place at 13:46 local time (Aug. 19: 03:36 EDT, 07:46 GMT). 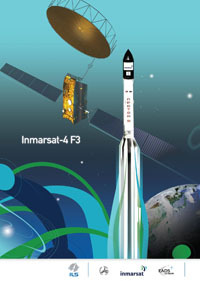 Separation of the Inmarsat-4 F3 satellite occured approximately 9 hours, 03 minutes after liftoff.